Take 3-6 capsules daily or as directed. The liver is an organ of paramount importance that can be viewed as a “large scale industrial worker” always functioning at full capacity. It plays a dual role in synthesizing important substances for the body and breaking down harmful substances and hence detoxifying the body. 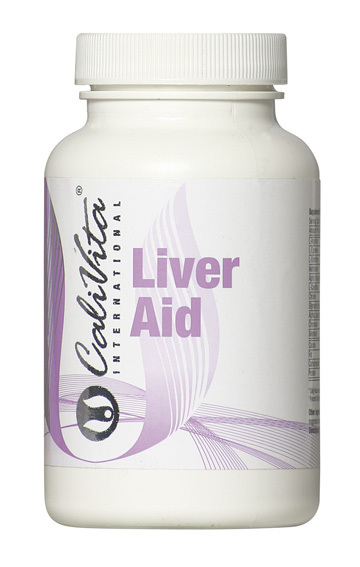 Actives in LiverAid support the healthy functioning of the liver in a natural way. The liver is one of the most complex and important organs in the body. It plays a role in the synthesis, processing and/or regulating of a variety of compounds that are vital for proper metabolic functioning, such as glycogen, lipoproteins, bile, vitamins, amino acids, blood plasma, platelets, and hemoglobin. A major function of the liver is to assist the body in the processing, and removal of waste and toxins. Protein metabolism produces ammonia, which is poisonous for the body. The liver converts ammonia to urea, which is then excreted from the body in the urine. The liver also is mainly responsible for breaking down and eliminating other toxic substances from the blood such as alcohol and drugs. Probably because of the critical nature of the functions it performs, the liver is able to regenerate cells. Nutritional support for such regeneration may come from sulfur-containing amino acids such as methionine and cysteine, as well as other aminos such as arginine and ornithine. Less than optimum liver function may cause fats to accumulate in the liver and this is not considered healthy. Studies have suggested that substances such as chromium, carntitine and choline may play a role in enhanced fat and carbohydrate metabolism in the liver. A flavanoid complex called silymarin, derived from Lady’s Thistle, is an effective anti-oxidant and has been studied for beneficial effects on liver function.